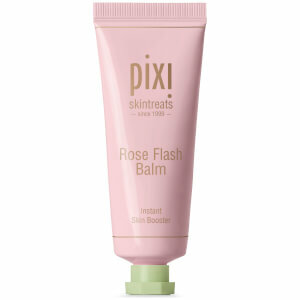 Enhance radiance with PIXI Rose Glow Mist, a dual-phase treatment that helps to strengthen and protect skin. Infused with seven flower oils including Rose, Argan and Avocado, the potent elixir replenishes vital moisture deep below the dermal layer, helping to improve elasticity whilst defending against free radical damage. 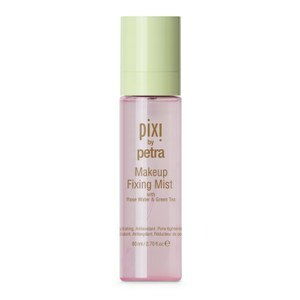 The antioxidant-rich formula can be used before makeup to calm any irritation and smooth the surface, or after makeup to set it in place and create a natural-looking, dewy glow. 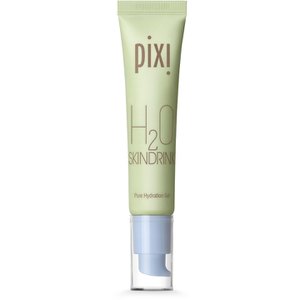 After use, skin appears plumped, refreshed and radiant. Shake to mix. Close eyes and mist over face and neck. Aqua/Water/Eau, Olea Europaea (Olive) Fruit Oil, Glycerin, Dipropylene Glycol, Butylene Glycol, Argania Spinosa Kernel Oil, Caprylyl Glycol, 1,2-Hexanediol, Carthamus Tinctorius (Safflower) Seed Oil, Betaine, Persea Gratissima (Avocado) Oil, Illicium Verum (Anise) Fruit Extract, Trehalose, Panthenol, Eclipta Prostrata Extract, Artemisia Absinthium Extract, Arnica Montana Flower Extract, Achillea Millefolium Extract, Viola Mandshurica Flower Extract, Hibiscus Esculentus Fruit Extract, Aloe Barbadensis Leaf Extract, Gentiana Lutea Root Extract, Pelargonium Graveolens Flower Oil, Cymbopogon Martini Oil, Melia Azadirachta Leaf Extract, Vegetable Oil, Cananga Odorata Flower Oil, Rosa Damascena Flower Oil, Citrus Aurantium Bergamia (Bergamot) Peel Oil, Propylene Glycol, Moringa Oleifera Seed Oil, Tocopherol.